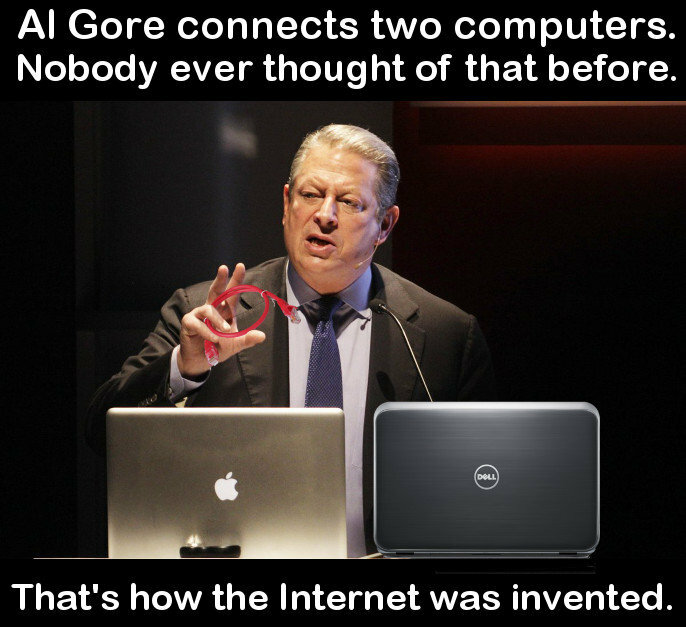 Al Gore thinks he created the Internet. LOL. He really did say that too. Al Gore connects two computers. Nobody ever thought of that before. That' s how the Internet was invented.